Designed by Andy Nunez, The Lash of the Turk features 176 larger size counters and a 22 by 34 inch map covering the area from Graz to Bucharest. 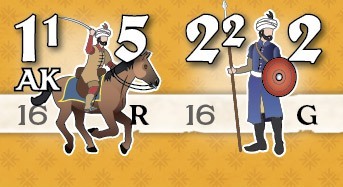 Units represent various columns of infantry, artillery, and cavalry. Game rules stress ease of play, but give players lots of options, including river movement and combat, siege rules, forage, and political turncoats. 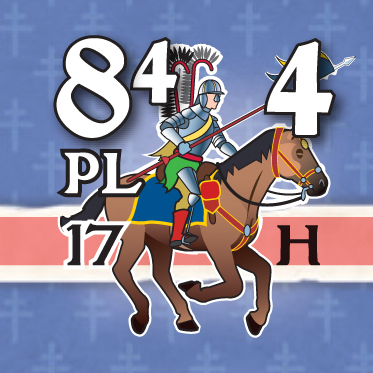 Four different scenarios let you juggle the strengths and weaknesses of the principle leaders for both sides, along with Austrian, Hungarian, Transylvanian, Tartar, Turk, Bavarian, Polish, and Franconian troops and appearances from other nationalities. 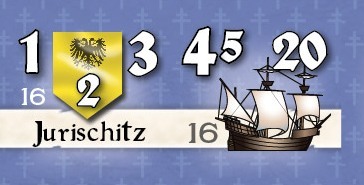 Can you can hold off the Turks? Can you conquer new lands for Allah? Find out, in ATO #30. 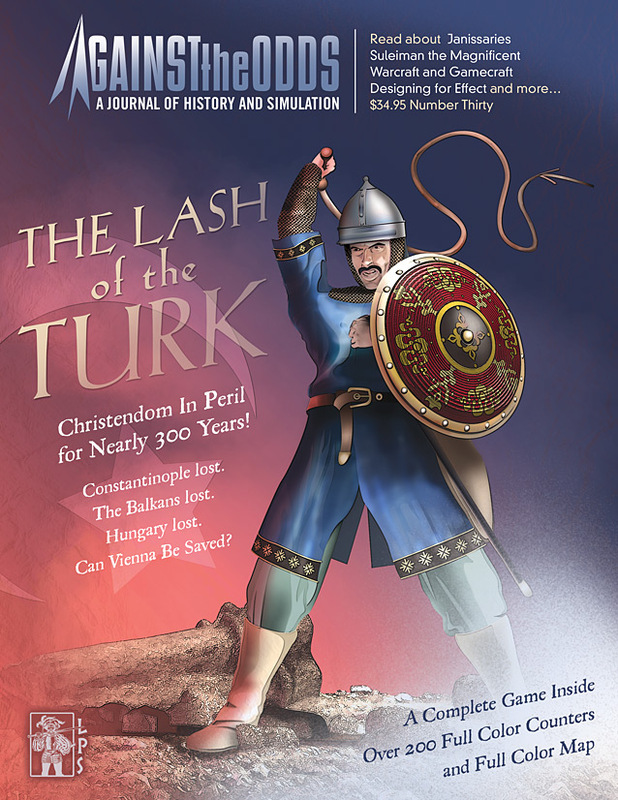 Download The Lash of the Turk rulebook (in PDF format).